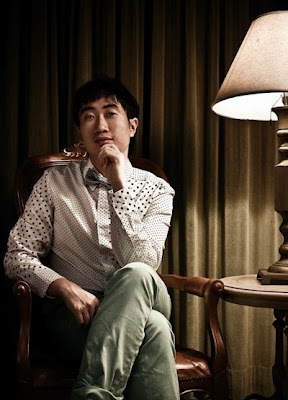 One more new voice on the SINdie Team - Walter Sim, the man behind the current string of reviews of short films from the 2nd Singapore Short Film Awards. He can speak 5 languages and claims that he is game to do anything. Walter loves to kick back, live in the moment and enjoy life just the way it should be. Yet these moments do not come often given he has ironically decided to be an aspiring journalist. Being thrown thick into the action most of the time, you can bet that he goes all out to relax when the opportunity arises. Theatre, musicals, cool eateries, coffee joints, shopping, and of course, movies. He likes to believe that his penchant for thinking deep and secondary school experience in drama are sufficient in bestowing him analytical capabilities to comprehend even the most incomprehensible arthouse film. But sadly that often isn’t the case. This multi-linguist (English and Mandarin, with decent Spanish, basic Swedish and French) has been mistaken for a native Japanese on more occasions than he can count. He is game to do almost anything, and has skydived in Switzerland, seen the aurora borealis in Sweden, watched a live soccer match in England, eaten a rat in Taiwan, and been on the G-Max at Clarke Quay on an impulse.